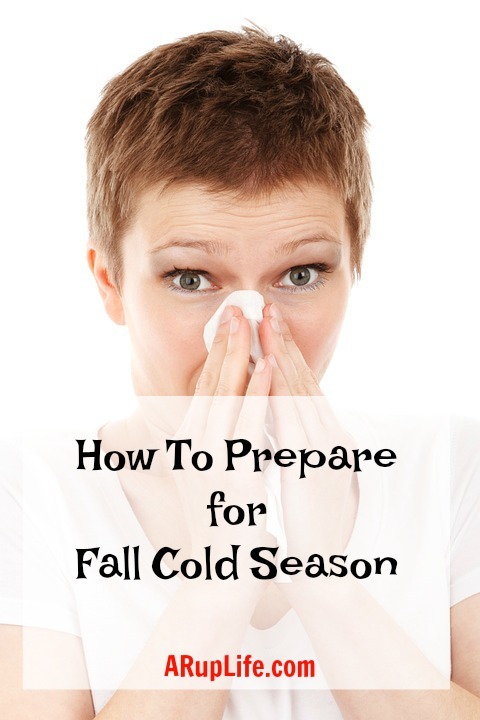 Once back-to-school season hits it is inevitable that sickness will spread. In fact on my facebook thread just this week I've seen post of kids missing school already! Part of the reason is people don't keep home when they are ill. Kids are in a closed classroom and germs circulate all day. Another - perhaps the biggest - reason is that kids get tired with the new schedule change. Sleep is essential to health! We do mostly 'crunchy' methods for wellness and sickness. I have several oil diffusers, essential oils, preventative vitamins all in abundance in my medicine cabinet. I also keep a few traditional things for just in case. Fever reducer, cough remedies. It is so much easier to have these things on hand and be prepared than to have to run out at 10 o'clock at night and try to find what you need. Sleep is everything! I always seem to get sick when I'm not able to get my normal amount of sleep. It is also restorative and helps you body to heal. Add them to your life. They are amazing. I use Plant Therapy because they are reasonably priced. There are many brands out there that will tell you that they are the best but do your own research. Look for independent studies. I like to keep the kids safe oils on hand because I can use them for the whole family. Sniffle Stopper and Germ Destroyer are my two go to products we use all cold and flu season. I'm a firm believer in supporting your immune system before you get sick. Now, I'm not a doctor and I recommend that you speak with yours before taking any supplements but in our home we use Vitamin C and D3 for all of us. 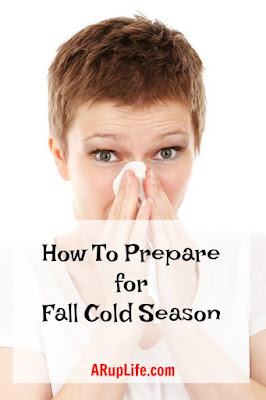 I truly believe this is the one area that helps keep us well and fight colds fast. We also add in zinc (for us older folks) when we feel something coming on. Keeping some bone broth or every chicken noodle soup in the freezer is a great way to prepare for sickness. Hot drinks (like soup or tea) really help when you don't feel well. Having a well stocked freezer can mean the difference of having to go out or not. I also keep ginger ale and gatorade (I know not crunchy but they make me feel better and it is rare I have them) on hand.